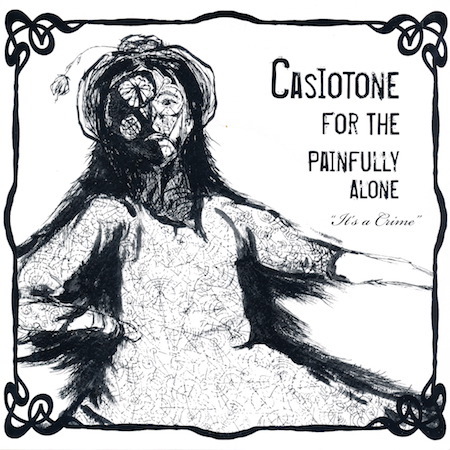 Casiotone throws down an old-timey jam that should probably be on Kill Rock Stars or some Olympia label due to the lo-fi nature. I think there's some drums in there somewhere. There's definitely guitar. Frankly, the mix is mostly vocals. And the lyrics are not particularly stellar. "It's a crime that she's going home with you and not with me" is pretty classic dude feeling sorry for himself, but these days it seems a little wrong. Foot Foot also goes old-timey Olympia. Mandolin and Appalachian harmonies really put this one over the top for old-timey qualities. Wasn't there a trend in the mid 00's for hipsters to get real old fashioned and do carpentry and wear overalls and stuff? Well, anyways, I'm sure they'd be listening to this song while creating some artisanal stuff to sell on eBay so they can afford a new ukelele. It's pretty lo-fi and kind of boring. And ends weird. But it's not like it's bad, it's just uninteresting.